A celebration was held at Fort Point State Park in the summer of 2009 to mark the 250th anniversary of the park’s Fort Pownall, built on the easternmost point of Cape Jellison to stand guard over the mouth of the Penobscot River. Terry Cole, who had been serving as park manager and living in its lighthouse since 1989, was instrumental in planning the event and was intimately familiar with the area having also served as a lighthouse keeper there from 1973 to 1976. In 1758, Thomas Pownall, Governor of the Massachusetts Colony, which then included Maine, wrote to William Pitt, Prime Minister of England, extolling the advantages of an outpost on the Penobscot River. The following year, Governor Pownall led four hundred men north, where he selected Wassaumkeag Point as the site for the fortification, before returning to Boston around the end of May. It took just over a month for the men to complete the fort, which was named in honor of the governor. The presence of the fort spurred development of the surrounding country, and it remained occupied until the British removed its cannons and powder in 1775. Americans later burned the blockhouse and filled in the ditch surrounding the fort to prevent the British from using the fort to their advantage. 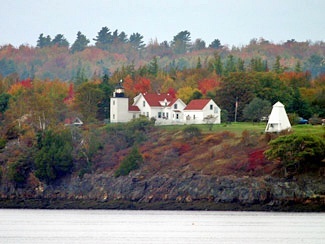 On June 30, 1834, Congress appropriated $5,000 to enable “the Secretary of the Treasury to provide, by contract, for building a light-house on a proper site on Fort Point, at the entrance of Penobscot Bay, in the State of Maine.” The lighthouse, a conical tower built of undressed split granite and an accompany dwelling were completed for just over $4,377. The tower was topped by an octagonal iron lantern housing eight lamps with thirteen-inch reflectors that shone a fixed white light at a height of ninety-nine feet above high water. Located near the town of Stockton Springs, Fort Point Lighthouse went into service to guide ships hauling literally tons of potatoes and timber from the area. Between 1905 and 1907, three long wooden piers were built that turned Cape Jellison into a bustling port. 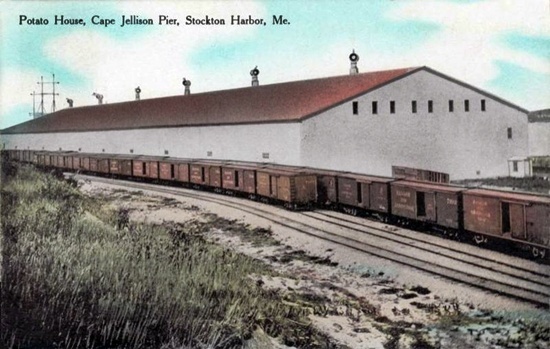 A huge 600-foot-long warehouse, capable of holding 240,000 barrels or an astounding 18 million pounds of potatoes grown in Aroostook County, was situated near the wharves. A fire in 1924 destroyed the wharves, and the port never recovered. My dwelling-house is very much out of repair. The walls are of stone, and, owing to defective building, have cracked on all four sides, so much as to cause continued leakage in wet weather. The roof also leaks so much that we are obliged to take up carpets and swab the floors. I swabbed up twelve buckets of water off the floor of the sitting room. The cellar way walls have been thrown by the frost, and will fall down unless rebuilt. When Levi Bowdin took over after Clewley in April 1850, the problems still had not been corrected. It was not until 1855, when John Odom was keeper, that the Lighthouse Board finally conceded the station was “entirely worn out” and requested $5,000 from Congress to rebuild it. 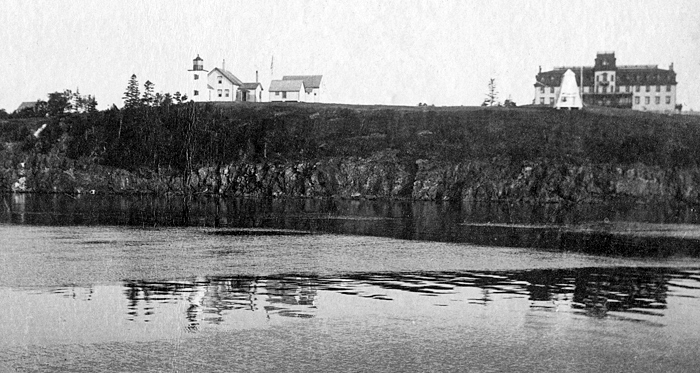 Two years later, workmen completed a new lighthouse, a thirty-one-foot-tall square brick tower, equipped with a fourth-order Fresnel lens and attached to a two-story, wooden keeper’s dwelling. From 1866 – 1882, Fort Point’s keeper was Civil War veteran Hiram Grant, followed by Adelbert Webster (1882 – 1902), John Thurston (1902 – 1919), Edward Farren (1919 – 1929), and Arthur B .Mitchell (1929 – 1952), former captain of the George W. Collins, a two-masted schooner. 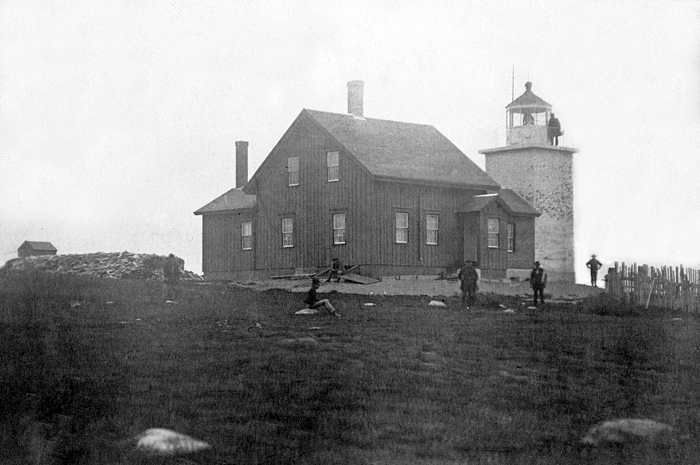 Changes to Fort Point Lighthouse over the years included a new lantern (1868), the addition of a bell tower and barn (1890), and an oil house (1897). In 1890, a deep trench was dug and eighty feet of pipe was laid to drain stagnant water from the trenches of old Fort Pownall. The interior of the keeper’s dwelling was rearranged in 1899 to provide one more room, and three dormer windows were added. In 1935, an incandescent oil vapor lamp was installed. Keeper Mitchell said that while the oil vapor lamp produced more light, it also took more work. The light was electrified in 1950, which brought it up to 4,500 candlepower. Fort Point Lighthouse remains an active guide to navigation and is one of nine lighthouses in Maine still using a historic Fresnel Lens. 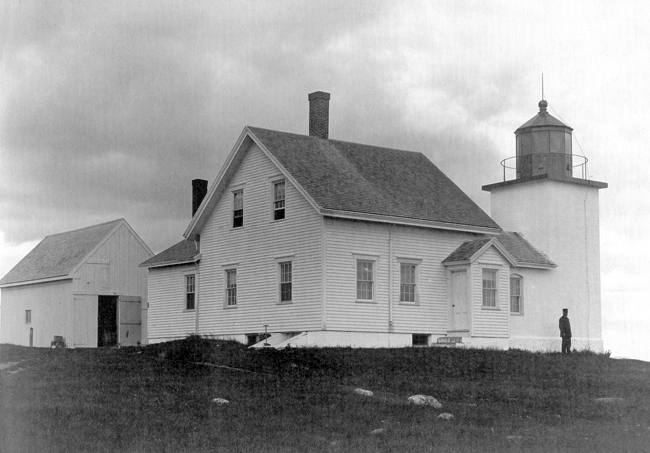 The lighthouse was leased to the Maine State Bureau of Parks and Land by the Coast Guard in 1989 and has since served as housing for a park supervisor. Terry Cole was thrilled to accept the position of park supervisor and return to the station where he once served as keeper. The Coles have lived a total of over thirty years at the lighthouse now – far longer than anyone else. 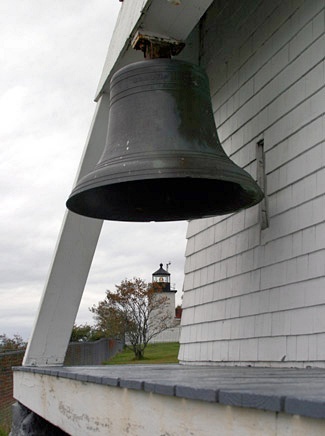 The station’s pyramidal wooden bell tower, one of the few left in New England, is listed on the National Register of Historic Places. 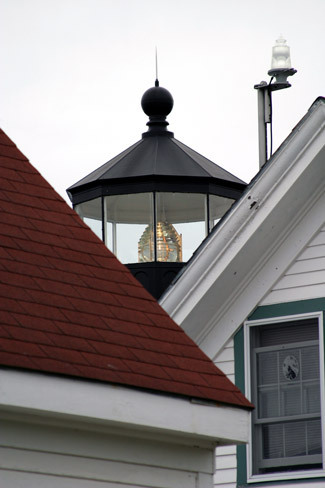 Under the Maine Lights Program, the deed to the lighthouse was transferred to the State of Maine in 1998. Head Keepers: William Clewley (1836 – 1850), Levi Bowdin (1850 – 1853), John Odom (1853 – 1861), Henry S. Stowell (1861 – 1866), John J. Bowen (1866), Hiram J. 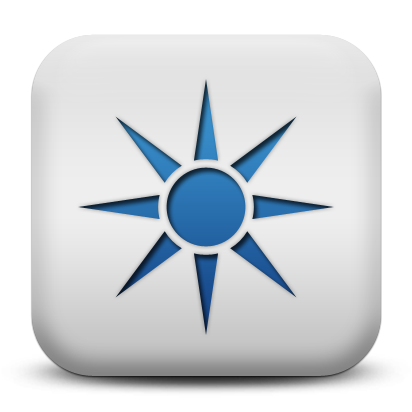 Grant (1866 – 1882), Adelbert G. Webster (1882 – 1902), John B. Thurston (1902 – 1919), Edward S. Farren (1919 – 1929), Arthur B. Mitchell (1929 – 1952), Ernest Mathie (1952 – 1957), Ernest DeRaps (1957 – 1959), Robert R. Kinney (1959 – 1960), Wayne McGraw, Ray Scarborough, Gene Benner, Harry Lahaye, Terry Cole (1973 – 1976), Paul Munroe (1976 – 1979), Harold W. Smith (1979 – 1980), Alan D. Achorn (1980 – 1984), Larry Baum (1984 – 1988). Acts and resolves passed by the …Legislature of the state of Maine, 1872. Bulletin of the American Warehousemen’s Association: Volume 8, 1907. Located in Fort Point State Park near the city of Stockton Springs and the mouth of the Penobscot River. For a larger map of Fort Point Lighthouse, click the lighthouse in the above map. From Highway 1 near Stockton Springs, take Main Street into the town and then turn south on Cape Jellison Road. 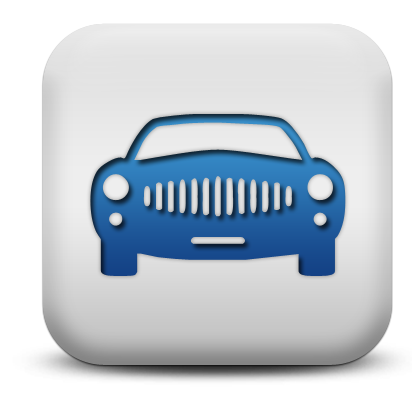 When the road splits after 0.8 miles, take the left fork and continue for 1.6 miles to the park entrance. The road just past the park entrance (Lighthouse Road) will take you directly to the lighthouse. Park grounds are open daily 9 a.m. to sunset. 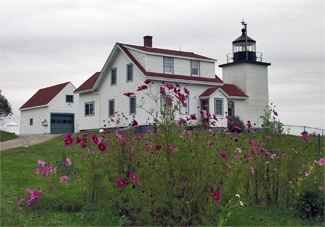 The lighthouse is owned by Maine Bureau of Parks and Lands. Grounds open, tower closed.